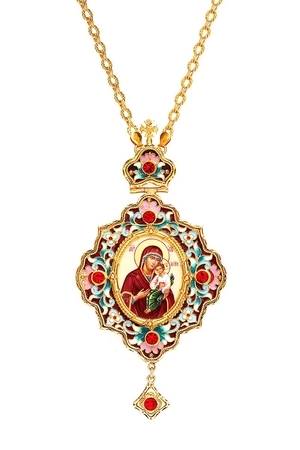 Bishop encolpion panagia no.33 - Istok Church Supplies Corp. 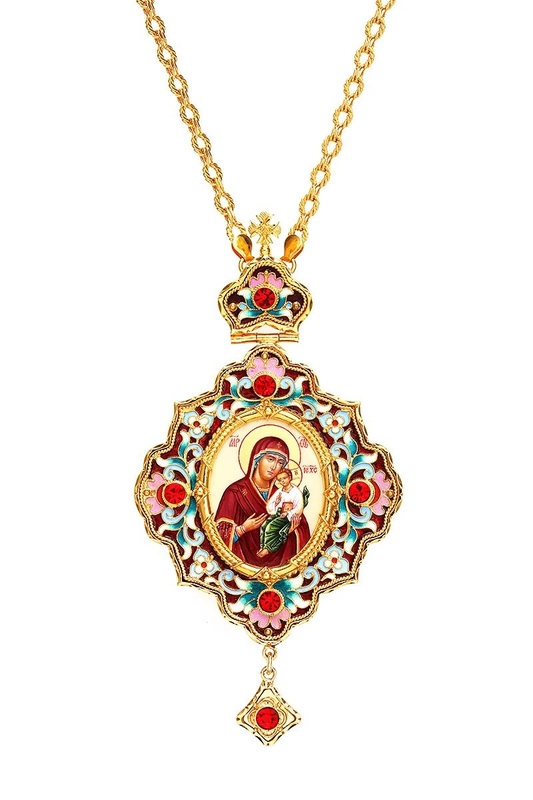 Traditional beautiful Greek Orthodox encolpion panagia. Brass, finift', enamel, stones.